Aside from making you more employable, giving back is also a wonderful way to be a part of your community. So, we want to know how you give back through charitable citizenship. The Job Genius program from Express Employment Professionals is an educational video series that offers insights on the job market and how to get a job. The video series includes information on everything from writing your resume, finding job opportunities, interviewing, and more. As summer approaches, many high school students start thinking about getting a job after graduation. If you’re one of those job seekers, it’s important to understand what industries are trending, pay ranges in growing fields, and the education required for those jobs. So, where do you start? Before you can determine the job you’d like to have, it’s important to first understand the education required for certain jobs as well as the jobs that are in demand or short supply. According to the U.S. Bureau of Labor Statistics, more than 20 million jobs will be created over the next 10 or so years. In Canada, an additional six million jobs are expected to open. A lot of these jobs will be in industries like industrial trades, office services, healthcare, and sales. With these jobs experiencing a rise in demand, it’s important to understand what it takes to start working in these fields. 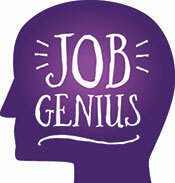 Check out the Job Genius video below for more information on in-demand jobs, salaries, education, and more. 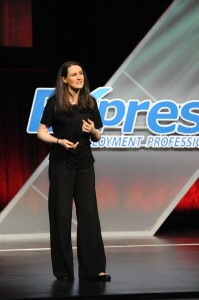 To check out other videos in this educational series, visit ExpressPros.com/JobGenius. Could too much of a good thing be bad for your health? While it’s exciting to land that office job, it’s also important to remember that your body is made to move. Did you know that sitting in front a screen, like a computer, for extended periods of time can increase your risk of certain diseases? Check out these tips to make sure you’re staying healthy both at home and in the workplace. Set reminders. Try using your email or calendar to set reminders that will pop up and remind you to stand for a few minutes. You can also try this trick at home by using TV commercials as a signal for you to stand up and get moving. Stand up and straighten your office or workspace. De-cluttering can also help you cut down on stress. If you like to drink a lot of coffee or other beverage, use a smaller cup in the morning. This will force you to make more trips to fill up your cup throughout the day. Stand up and get a glass of water if you’ve been sitting for too long. When you’re eating lunch or talking on the phone, stand up if possible. Instead of using email or interoffice mail, hand deliver papers to a co-worker. If possible, use a printer that’s stationed away from your work area so you have to walk to retrieve your documents. On lunch breaks, take a walk around the building or nearby area. Follow the 20-20-20 rule. Every 20 minutes, take a break from your screen and stare at something 20 feet away for 20 seconds to help the focusing muscles in your eyes relax. Make a conscious effort to blink every 10-15 seconds so you coat your cornea and nourish your eyes with oxygen. Try increasing the brightness level on your computer’s monitor to decrease eye fatigue. Also, it’s recommended that your computer screen be positioned 20-28 inches from your eyes. Eat eye-friendly foods like kale and spinach to lower your chance of developing a cataract. To lessen the strain on your back, try sitting at a 135-degree angle while you work. Keep hand sanitizer at your desk and wash your hands regularly. According to IdealBite.com, the average office keyboard harbors five times more germs than a public restroom. Even though there are risks associated with desk jobs, the good news is that there are ways to minimize these risks and stay healthy. How do you keep your health in check while working in the office? Share your tips in the comments section below! According to the latest statistics from the U.S. Department of Labor, more than 4.8 million administrative professionals work in the United States. And according to Statistics Canada, more than 500,000 administrative professionals work in Canada. To honor this growing industry, Administrative Professionals Day is an unofficial holiday observed in several countries throughout the year. In the United States and Canada, Administrative Professionals Day is Wednesday, April 22. The day recognizes the work of secretaries, administrative assistants, receptionists, and other administrative support professionals. The idea for the holiday began when Mary Barrett, president of what is now known as the International Association of Administrative Professionals, and C. King Woodbridge, president of Dictaphone Corporation, addressed a national shortage of skilled office workers. From there, the idea for National Secretaries Day, now known as Administrative Professionals Day, was created. The first National Secretaries Day was held June 4, 1952. Since then, Administrative Professionals Day has become one of the largest observances in the workplace. 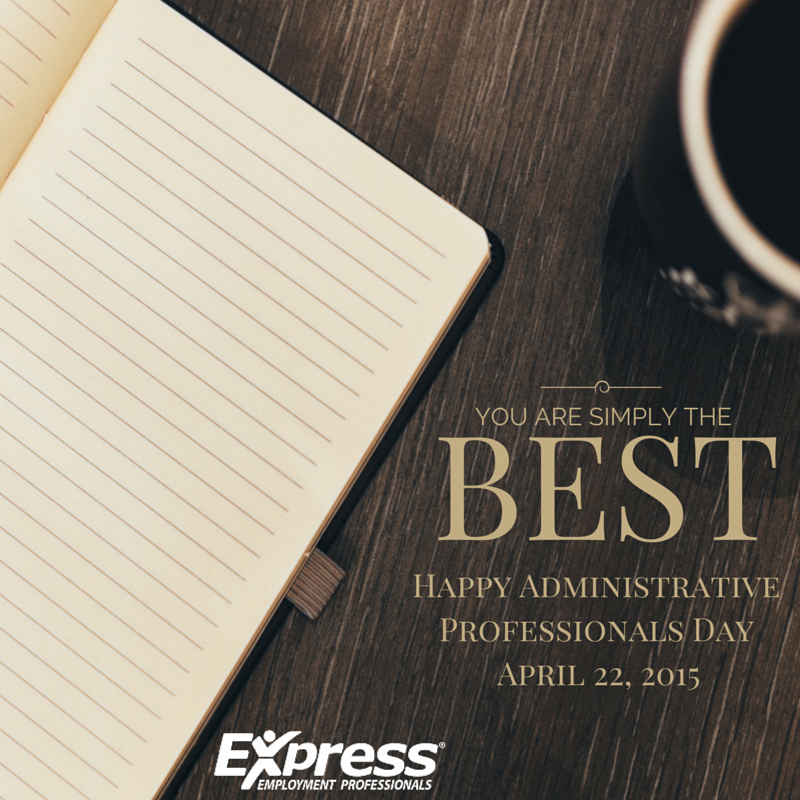 At Express Employment Professionals, we are proud of our administrative associates and want to wish them a very happy Administrative Professionals Day! 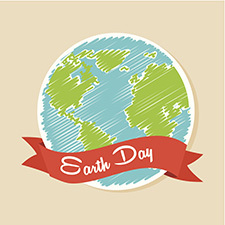 Wednesday, April 22, is Earth Day, a worldwide event that was first celebrated in 1970 to demonstrate support for environmental protection. You can be a part of the movement from the comfort of your very own workspace. Little changes can make a big difference. In some cases, office environments are the worst offenders when it comes to waste and environmental damage, but that trend is changing. The future will see companies turn to the efficient use of local resources and services to help cut the high cost of powering and providing water to buildings. Communities are looking to “buy local” and are demanding that businesses play their part in creating a sustainable and environmentally healthy economy. So, how can you help your office become more sustainable? Check out these 10 easy tips for an earth-friendly work day. Use energy-efficient light bulbs or natural light. If your office has plenty of windows, make use of that daylight. If not, choose compact fluorescent light bulbs, which use 25 to 80% less energy than traditional incandescent bulbs. Install motion sensors in areas like storage rooms, bathrooms, and spare rooms. Timers and smart control systems turn off devices that are not in use, like kitchen and heating appliances. Introduce a recycling bin system. Encourage co-workers to put plastic bottles, waste paper, and other recyclables in these recycling containers to reduce waste in landfills. Start a “bring your own” program for coffee mugs and plates. Have a contest to see who has the most unique coffee mug and discourage the use of paper and plastic plates and silverware. The simple task of washing used dishes can save hundreds of dollars, as well as reduce waste. Read memos and reports online. Printing every memo or multi-page report equals hundreds of pounds of paper waste every year. When possible, read these reports and communications on the computer instead of printing them out. Turn off machines that use a large amount of energy overnight. Employees should be encouraged to power off their computers or put them in “sleep” mode when they leave. Recycle ink cartridges. Empty ink cartridges can be sold to companies that recycle them. Some companies even deliver a collection box for empty cartridges and will collect them as well. Start a carpooling or car sharing program. Adding incentives like gifts or rewards to those who carpool helps boost participation – plus, you’ll get to know your co-workers better! Reuse and reclaim. Try to use companies that reclaim unwanted or used furniture and fix them up. Not only do you help the environment, but you can get some truly unique and cool items. Buy local. By choosing small, local businesses, you’ll save on transportation costs and will help strengthen the health of your community. What does your office do to help save the planet? Share your best office conservation practices with us in the comments section below. Let’s be honest – we’re all a bit stressed. Whether it’s in the job search, at work, or at home, almost everyone feels overwhelmed from time to time. Stress is a natural part of life, but even the smallest of stressors can have a negative effect on your health. According to the U.S. Department of Health and Human Services, stress affects both your body and your mind, and it can lead to depression, headaches, heart disease, stroke, and stomach disorders. April is Stress Awareness Month, so there’s no better time to start managing the stressors in your daily life, especially when it comes to your job search. When we feel threatened or anxious, the stress hormone cortisol is released into our bodies. This is also known as the “fight or flight” response,” which signals the body to free up energy so it can respond to a perceived threat. The problem with this reaction is that the body’s focus shifts to fighting the stressor instead of protecting your immune system. This can lead to the symptoms of a common cold, loss of appetite, fear, anxiety, nightmares, mental uneasiness, tension, lack of focus, poor sleep, memory loss, and exhaustion. As one of the world’s most beloved animated princesses begs, “Let it go.” It’s easy to let a stressful situation take up permanent residence in your mind, but you should try to avoid it. Rehashing stressful situations, like a less-than-perfect job interview or a typo in your cover letter, can cause your body to relive the stress over and over again and bring on the same negative bodily reactions every time. Instead of replaying these situations in your mind, try to alter the way you think about what happened. Replace negative thoughts with affirmative ones, like statements of self-confidence. Another way to say goodbye to stressful thoughts is to meditate or focus on your breathing, which helps you calm down. At some point, everyone procrastinates. What can start as a harmless way to put off tasks can turn into a habit that leaves you feeling overwhelmed, frustrated, and stressed. To avoid these unwanted emotions, try setting a long-term goal with smaller goals along the way. If your long-term goal is finding a job, your smaller goals may include sending 10 resumes, landing two interviews, or attending a networking event. Breaking your goal into smaller steps can help you see the bigger picture and the ways you can achieve it. And don’t forget to celebrate your accomplishments along the way. Positive reinforcement can act as a motivator to help you reach your goal, so it’s important to be proud of the work you’ve done. When you’re experiencing something stressful, it’s easy to automatically assume the worst. You may find your mind slipping into worst-case-scenario mode when you don’t hear back from a recruiter, you miss an important telephone call, or you forget to send a follow-up email. But, it’s important to remember that negative thoughts will only make your stress even worse. Consider whether the thing that’s stressing you out is something that will bother you a month or two from now. Ask yourself if you have any control over the stressful situation. Once you start seeing your stressors a little more clearly, you may find that they’re easier to handle in the long run. Take a moment to stop, re-evaluate the situation, and find some perspective. Oftentimes, the outcome is out of your hands and spending time stressing about it will only make matters worse. It’s no secret that job searches can drain you, both of time and energy. But forgetting to take time for yourself will only enhance your level of stress. Make sure you set aside time in your day to relax, enjoy a hobby, go for a walk, work in the garden, read a book, or do something that will help you recharge your mind and keep you both happy and relaxed. 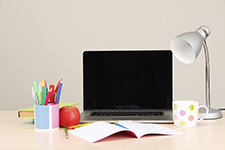 You may also consider de-cluttering your home or workspace to help put your mind at ease. Knowing what your stress triggers are, prioritizing your goals, and eliminating those stressors, can help you stay healthy during your job search. 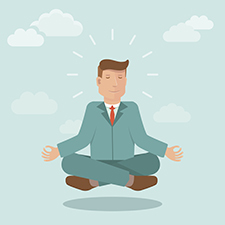 How do you keep your cool during a stressful job search? Share your tips in the comments section below. Today, Express Employment Professionals is hosting a leadership event featuring speakers including the comedian Dan Aykroyd, entrepreneur Daymond John, and inspirational storyteller Liz Murray. As the event occurs, we here at Movin’ On Up will be live blogging the speeches and bringing you the highlights from the event. So keep reading as we update this blog post with job search advice, leadership wisdom, and stories of hope straight from our celebrity speakers. Liz says that we all face difficulty and the feeling of wanting to give up. She said this feeling is a human issue. But, what do we do when we come to these moments in our lives when we would rather give up and check out? Where do you focus? Where do you draw from inside of you to change your life? According to Liz, you rely on other people. “I think no one gets where they’re going alone,” she said. Liz Murray’s story is an inspiring tale of survival. When she and her sister were hungry as children, they would go door to door looking for food. It wasn’t about thriving, but handling the day-to-day. We all have struggles we’re dealing with, but it’s important to take ownership of those struggles. Liz points out that no one is going to fix all your problems for you. You have to be proactive and help yourself. When someone walks into a room, your energy will go up or down. This means you’re impacting people whether you mean to or not. When you say you want to make a difference, you already are. It just depends what kind of difference you’re making. Is it good or bad? When you’re feeling defeated, Liz wants you to remember that every new moment is a new opportunity. What are your what-ifs? What keeps you up at night? What are you waiting for? So, what did you learn from Liz Murray’s advice on reaching your goals and overcoming obstacles? Share with us in the comments section below! Dan Aykroyd has been in more than 100 motion pictures, including Ghostbusters. He was also a cast member on Saturday Night Live and currently owns his own company. His opening words of advice: don’t give up. Whatever your dreams are, you have to stick to them. Acknowledge emotions, listen, test your assumptions, don’t rush into every battle, don’t intrude or take control over others, motivate people and offer opportunities instead of obligations, encourage and inspire. What one further accomplishment would Dan like to achieve in his career? What is Dan’s #1 word of advice for leaders? In order to have an efficient team, Dan suggests getting to know everyone on the team first. Having time away from the office to learn about each team member can make a difference in the workplace. When Dan’s having a bad day, what advice does he give himself to stay focused and confident? If Dan could work with one person he hasn’t worked with yet, who it would be? The next generation of comedians: Will Ferrell, James Franco, Seth Rogen, Jonah Hill, and Kristen Wiig. 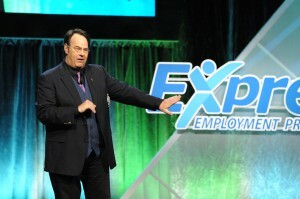 What did you learn from Dan Aykroyd’s experience in leadership and his advice on becoming a great leader? Share with us in the comments section below! Daymond John is an entrepreneur, television star, and motivational speaker. He is one of the stars of the TV show Shark Tank and is the owner of FUBU, a clothing company he started in his mother’s basement. Daymond has a lot of experience when it comes to leadership and reaching your goals. 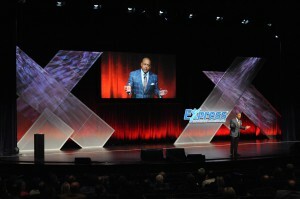 According to Daymond, we all need to think like entrepreneurs. Daymond John had his first job at age six, selling handmade pencils at school. Later, he worked at the mall and Red Lobster. You have to start somewhere to land your dream job! Before you start a business or try to accomplish a goal, you have to take inventory of yourself. You are an asset and liability to your dreams, so knowing what you have to offer will help you on your way. S: Set a goal. If you don’t set a goal, you allow others to set your goals for you. To reach your goals, you have to be unafraid. When Daymond John wanted to start selling his own clothing, he wasn’t too scared to go to a famous rapper’s house and ask for his sponsorship. Daymond and his friends set up shop right in the rapper’s front yard and tried to convince that musician to buy their clothing. H: Homework. You will never create anything new in this world, you will only create a new form of delivery. Do your homework and find your analytics first. “You need OPM.” What is OPM? Other people’s mindpower. Other people’s marketing. Other people’s mistakes. These are things you need when you hit a low point and feel like giving up. Call in reinforcements to help you out! A: Adore. Love what you do and love people. We can’t be successful without adoration of what we do and the people who help us get there. R: Remember. You are the brand. If you can’t describe yourself in two to five words, you leave it up to others to judge you themselves. K: Keep swimming. To be successful, you can’t give up. What did you learn from Daymond’s advice on entrepreneurship, leadership, and goal-setting? Share with us in the comments section below! Thanks for joining us for the Refresh Leadership Live event! We hope you learned from our speakers. Now, go set your goals and follow them!